Annual ryegrass is used for quick cover. 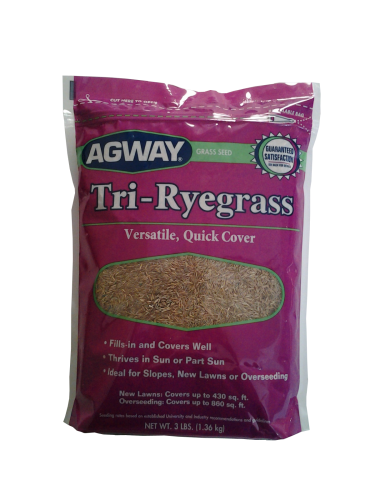 Not intended for permanent lawns but can be used to help establish permanent lawn grass. 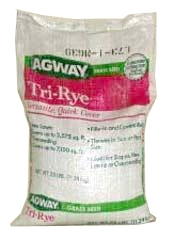 One 3# bag seeds 425 square feet for new seeding and 850 square feet for over seeding. One 3 lb. 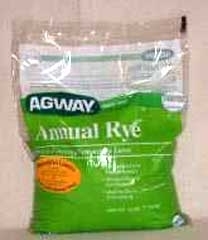 bag seeds 430 square feet for new lawns and 860 square feet for over seeding.